Festivals, News, Reunions, Tour Dates, Yay! We knew it would happen some day soon. 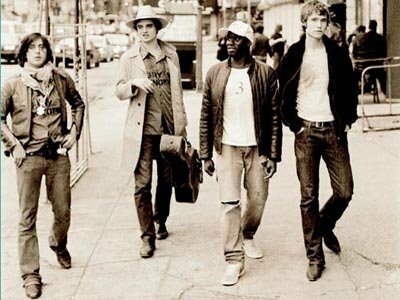 The Libertines have told NME.com that they will reunite to play the Reading And Leeds Festivals in the UK this summer. Original members Pete Doherty, Carl Barat, Gary Powell and John Hassall will be the second from the top billing at the festival, which takes place from August 27th through 29th. This is their first full show together since they parted ways in 2004. The Libertines will play at Leeds on Friday, August 27th, before headliners Arcade Fire. 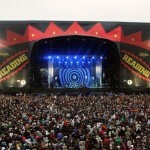 They will also play Reading on Saturday the 28th. As Barat told NME.com, “We’re reforming the band to play the songs that people want to hear.” We’re sure they will be rewarded handsomely both by the festival and their undying fans. By Sentimentalist Staff on March 30, 2010 in Festivals, News, Reunions, Tour Dates, Yay!